In our business, we get a lot of calls for HVAC repairs when it’s either really hot or it’s really cold. Because we live in Orange County, an area where the temperature is temperate most of the year, most people don’t use their AC as much as someone who lives in Arizona, or heater as much as someone in Alaska. We might have it set to heat our homes, or to cool them, but it doesn’t take that much work to cool a home when it’s only 85 degrees out. However, when it does get warm, like in the 90s or over 100, it really starts to test the system. The same goes for when temperatures at night start dipping into the 30s and 40s. It’s during these times that HVAC systems start to break and we get calls to fix them. This is not an ideal scenario for you. If it’s 100 degrees out and your air conditioning breaks, you are going to be miserable in your home. In addition, because everyone’s AC is breaking during this time, it makes it difficult for HVAC companies in Orange County, like Alps HVAC, to respond and fix it quickly. In addition, waiting until your HVAC system breaks is going to cost a lot of money. We recommend once or twice a year – in the Fall or Spring – to get your HVAC system checked out and maintained. This is going to help you in a few ways. First, because it’s not very hot or cold in the Fall and Spring, you will get faster service from your HVAC company. 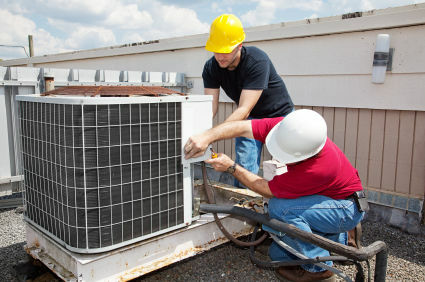 Second, regular maintenance will make your HVAC system last longer. Third, if we find that your system needs to be replaced because it is probably going to break the next time it really has to work, you can get it replaced before you actually need it. If you haven’t had your HVAC system checked out recently, give us a call. We can take a look at it, tune it up, and make sure it will keep running for you when you need it most.